Everything you need to get your site to the top of the pile! InterNACHI members: click here to sign up for the InterNACHI Link Exchange List, the best way to find other InterNACHI members to exchange links with! Click here to download a PDF of the link exchange list, or view the live linked list here. Additional link exchange options, including automatic inclusion of all of the link exchange participants are available below. InterNACHI members: click here to sign up for a free search engine submission to 20 of the top search engines including Google (limit one site submission per member). 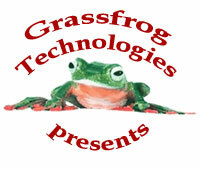 Grassfrog customers - sign up here and your site will be submitted to 200 search engines, for free! Link building - we help you find sites to reciprocate links with, and will process link exchange requests biweekly. We also provide guidance to help you create and exchange links on your own, as this is crucial to getting good Google placement. Google Sitemap, Google +1, and special Google service to help your site be indexed by Google within 1-2 days. Quarterly updates regarding your website page rank and progress. Cost: $65 per month, billed quarterly (subscribe below using PayPal), or $725 billed annually. Order your package below, or Contact us to get started. If you would like for us to submit additional web sites to the search engines for you, you can purchase an annual subscription for $95.00 which will cover your site for quarterly web site submissions over a full year. *Submission only program is only recommended for previously optimized websites and for auxiliary sites, not for your main website. copyright © 2006-12 Grassfrog Technologies LLC. All rights reserved.